Ready to be snuggled this Easter, our baby bunny has the sweetest face. Dressed in a faux fur hat, top and shoes, this baby bunny--with cute dotted stocking--is hard to resist. 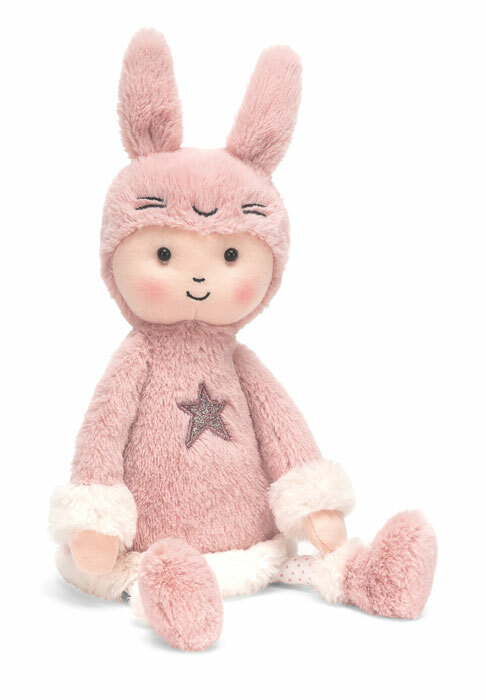 Designed by an English company, it is made of soft polyester fibers and is recommended for a child 12 months or older.